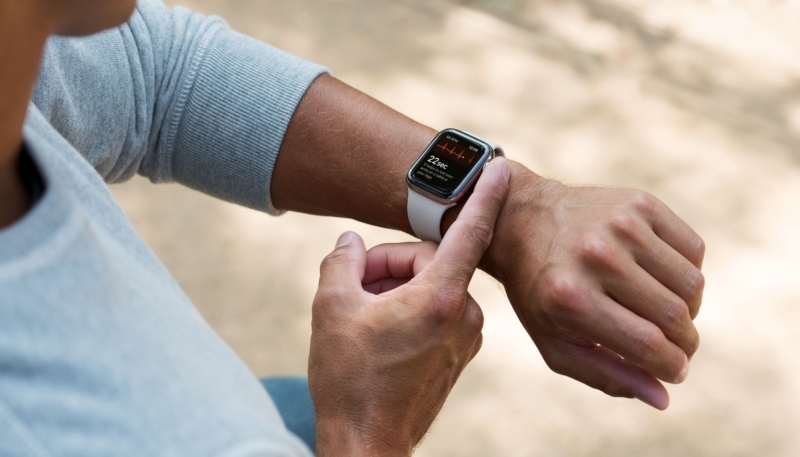 The Apple Watch Series 4 will finally gain its long-awaited ECG functionality when watchOS 5.1.2 is released to the public. Version 5.1.2 of the operating system is currently in beta testing. Taking an ECG reading with the Apple Watch Series 4 will be easy. Users will place a finger on the Digital Crown while wearing the watch. The reading will be complete in 30 seconds. The ECG will allow users to determine if their heart is beating properly, of if it is showing signs of atrial fibrillation. The app is limited to release in the U.S., as that is the only country where Apple has received government clearance, but all Series 4 models include the needed hardware. Apple has promised availability of the ECG app by the end of the year, but hasn’t announced an exact release data. watchOS 5.1.2 has been in beta testing since November 7. While the ECG app is only available on Series 4 models, irregular heart rhythm notifications will be available on all Apple Watch Models from Series 1 and newer.